The weather is colder and the want to hibernate inside with comfy clothing is creeping in. For those busy weeknights where you need something hot and hearty, the slow cooker is a great kitchen tool to utilize to make healthy, filling, and delicious dishes. 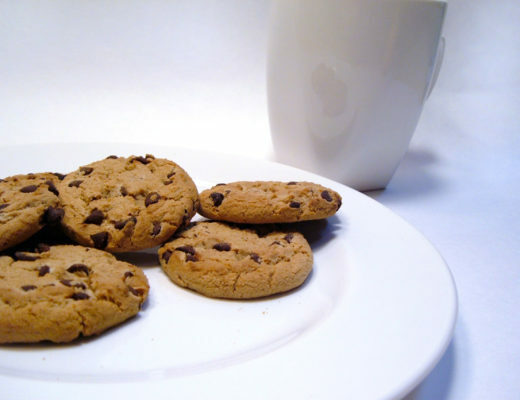 Here are some great healthy recipes to test out for your hectic week. Happy and warm tummies will soon follow! 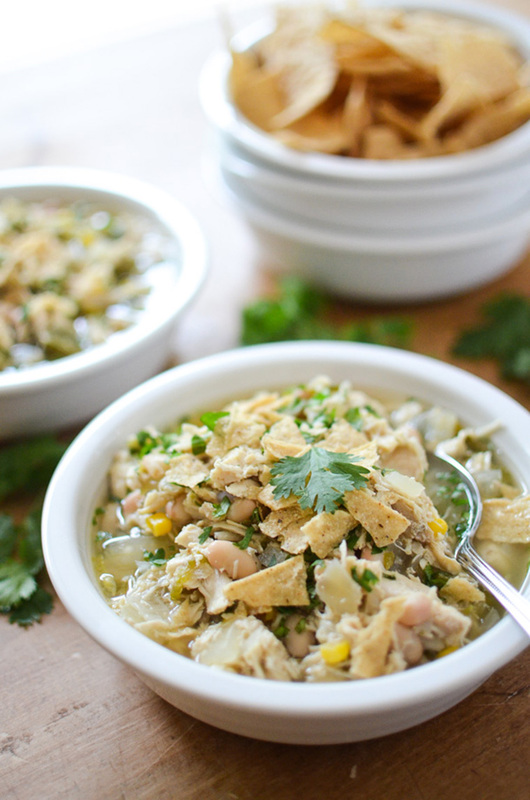 Whether you’re a strict Sunday-football chili eater or enjoy the delicious dish anytime, this white chicken chili from Melissa of Simply Whisked is a must-try. Filled with corn, chicken, northern beans, and jalapeno, this chili has a great bite! All you need is some chips to have on the side! 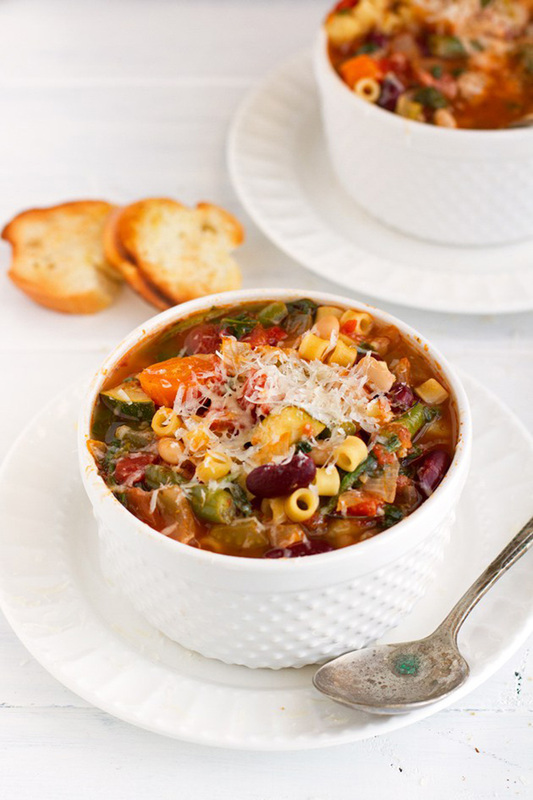 This delicious minestrone soup is easy to throw together and has your slow cooker doing all the work! Mariza from Little Spice Jar fills her soup with a variety of vegetables, red kidney beans, great northern beans, and some lovely parmesan. This hearty soup is great for cold nights, especially meatless Mondays! Love curry but don’t want to stand over the pot for hours? 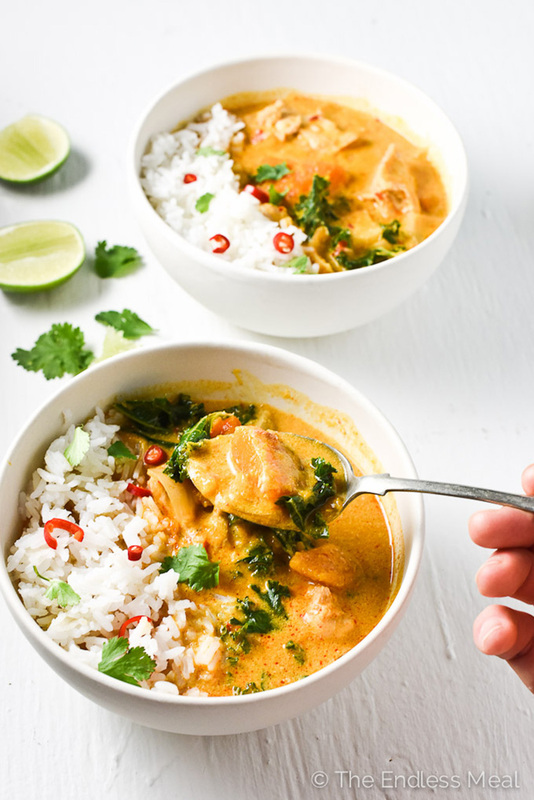 The crockpot is a great tool to use to create flavorful and healthy curries! 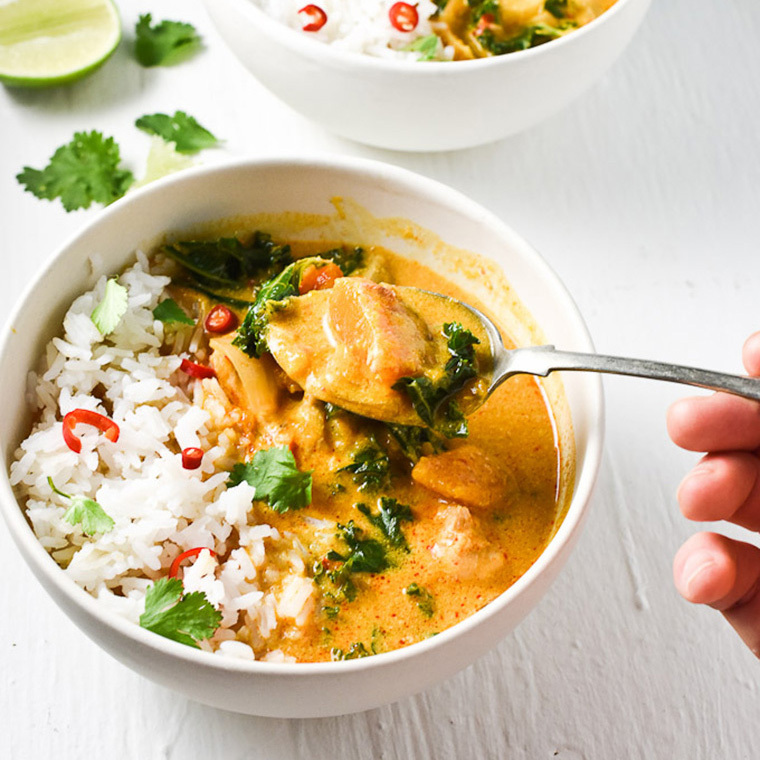 Kristen from The Endless Meal created a yummy, easy, healthy, and gluten-free chicken curry recipe infused with Thai flavors. Make this dish, serve over rice, and have the whole family in love with curry! 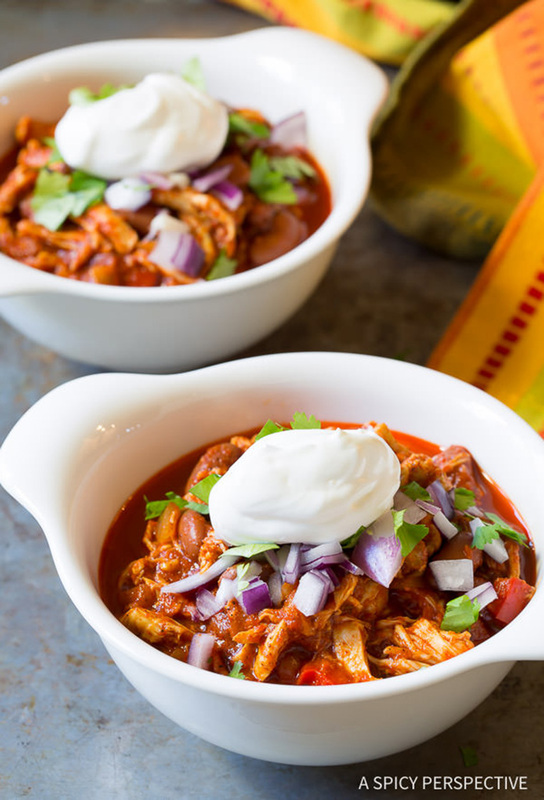 Sommer from A Spicy Perspective has created a great twist on chili. Using chicken and roasted red pepper, her chili is made in the slow cooker, which makes less of a mess in the kitchen. 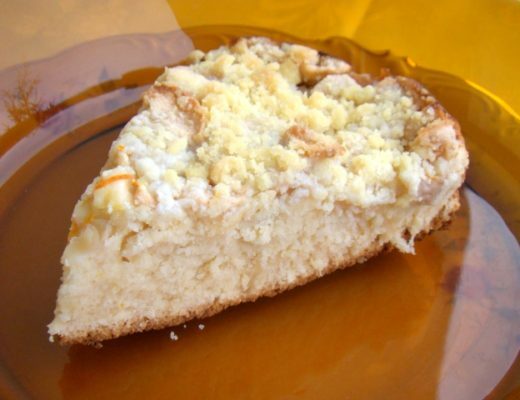 If looking for a healthy and satisfying dinner, then this recipe is for you! Love sweet potatoes in stew? 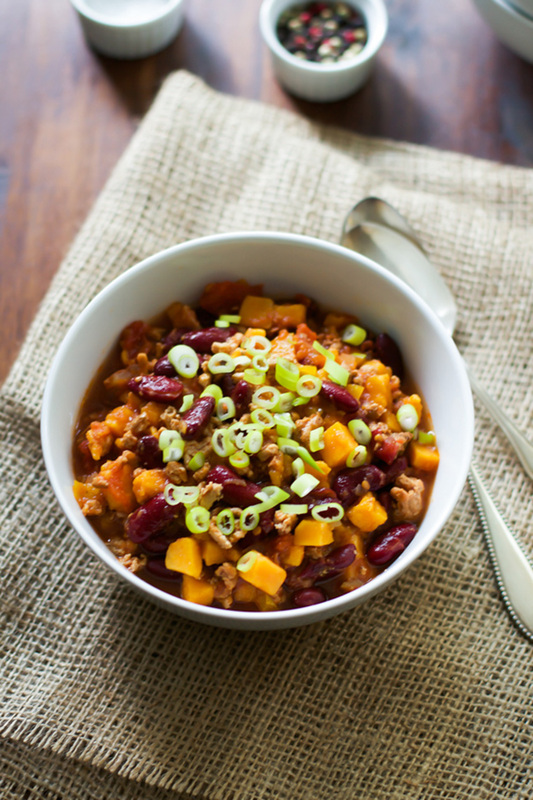 Then try out this lean chili recipe filled with sweet potatoes and ground turkey from Olivia of Primavera Kitchen. Her healthy recipe is filled with pepper, carrots, and onions to build a lovely flavor foundation for the chili and gets a kick from the addition of red pepper flakes. If looking for a delicious and healthy vegetarian friendly slow cooker recipe, Alex from Delish Knowledge has got you covered. Alex is a Registered Dietician and has created this flavorful plant-based dish. 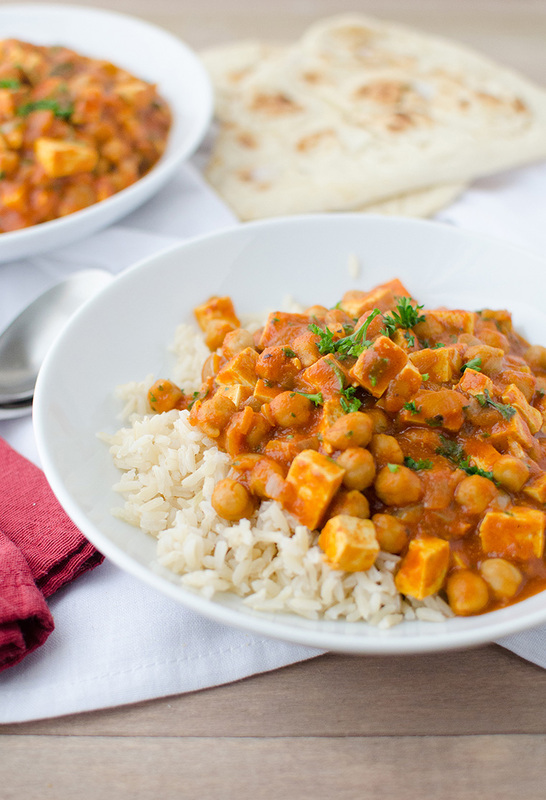 Filled with tofu and chickpeas, this dish will keep you full and not craving any meat!